I’ve been really slack with my meal plans recently but a few of you lovely readers have been in touch to say that you’ve been enjoying seeing written up meal plans so I promise I’m going to make more of an effort to get these up every week! 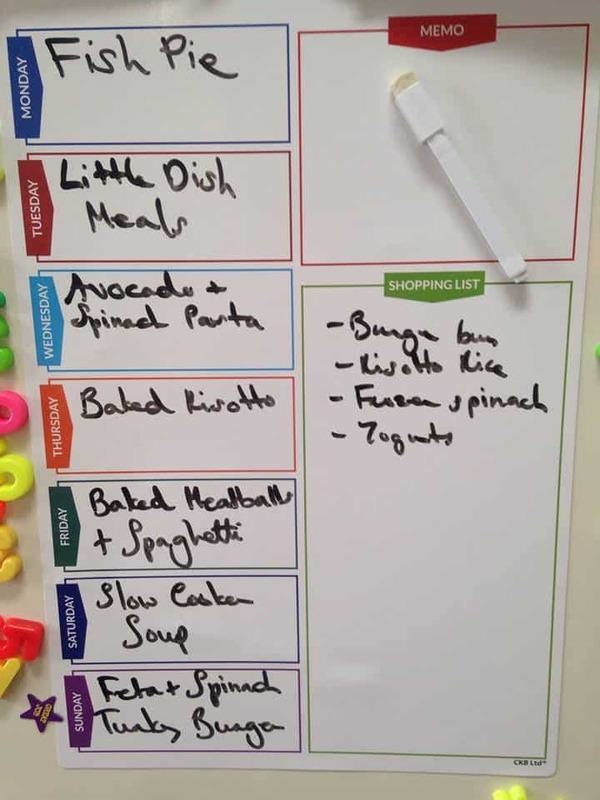 So here’s our meal plan for this week. If you guys have tried any nice recipes recently please do link them in the comments below as I’m always on the look out for new dinner ideas for the kids! Monday: Fish Pie. I need to blog my cheats fish pie recipe soon! Tuesday: Little Dish Meals. I was reviewing these so the kids then ate them for dinner. We had some curry defrosted from the freezer. Wednesday: Creamy Avocado & Spinach Pasta. This is my new favourite go-to meal on busy evenings. The sauce can be whizzed up while the pasta is cooking so literally takes 10 mins! Thursday: Baked Tomato & Cheese Risotto. I’ve been promising to blog this for ages so will try to get it on here next week. Friday: Smoky Meatballs & Mozzarella with spaghetti. I made these last week and everyone when crazy for them so they’re back on the menu again this week! Saturday: Slow Cooker Soup. We’re going to friends for dinner on Saturday but am going to make a nice soup in the slow cooker for lunch. Sunday: Feta & Spinach Turkey Burgers. These are still a big favourite with my husband and kids and I probably make them once every ten days at the moment! If you guys try any recipes please do let me know what you think. See you next week! 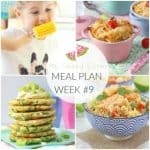 Thanks for posting these, it’s given me some much needed different ideas for our dinners! Loving the meal plans! However, week 1 and week 3 appear to be the same? Do you have anymore in the pipeline? Sorry I just looked at it is literally the same, I’m so sorry! There was a problem with the web links! Love your site and recipes ! My daughter is 12 months and as not a natural or inventive cooker this is a god send ! Thank you Alex. I hope you find some recipes she likes!